Exopolitics is just one of a number of new 'exosciences,' which all deal with extraterrestrial life. Astrobiology is an interdisciplinary field, combining aspects of astronomy, biology and geology, which is focused primarily on the study of the origin, distribution and evolution of life. It comes from the Greek words astron = star, bios = life and logos = word/science), and is also known as exobiology (Greek: exo = out) or xenobiology (Greek: xenos = foreign). - How did life arise on Earth? - What kind of environments can life tolerate? - How can we determine if life exists on other planets? 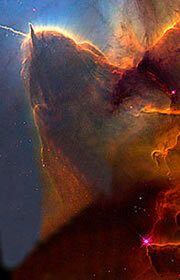 - How often can we expect to find complex life? - What will life consist of (DNA/Carbon based? Physiology?) on other planets? Astrosociobiology (also referred to as exosociobiology and xenosociology) is the speculative scientific study of extraterrestrial civilizations and their possible social characteristics and developmental tendencies. The field involves the convergence of astrobiology, sociobiology and evolutionary biology. Hypothesized comparisons between human civilizations and those of extraterrestrials are frequently posited, placing the human situation in the same context as other extraterrestrial intelligences. Whenever possible, astrosociobiologists describe only those social characteristics that are thought to be common (or highly probable) to all civilizations. Thus far, it is entirely theoretical.